Poster guidelines: all posters should be formatted to A0, portrait orientation. Pins etc. to affix posters will be provided. Please submit the properly formatted .pdf-version of your paper to the easychair.org website. Please indicate the preferred type of presentation (oral/poster/either) when submitting the paper by checking the appropriate box.The category oral presentation will be treated as oral preferred but poster acceptable. The category poster presentation will be treated as poster preferred but oral acceptable. The category either will be treated as authors do not have a strong preference for a particular type of presentation. Please indicate the topics that are relevant to your paper (more than one can be chosen) by checking the appropriate boxes. Please indicate if your paper is student led (primary author is a student). This year OWTNM 2015 will have student paper prizes (both oral and poster submissions will be considered at par) co-sponsored by the Optical Society of America. The prize will consist of a certificate and monetary prize. 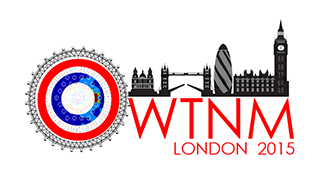 The papers will be judged (for technical quality, originality and clarity on the basis of the presentation) by members of the Local Organisation Committee and Technical Committee of the OWTNM onsite. The announcement of the prizes will be made in the closing session of the conference. Notification of acceptance: February 23, 2015. All the 1-page abstracts accepted for presentation in the workshop will appear in the book of abstracts, that will be made available to all attendees. All OWTNM participants will have the opportunity to submit full papers to a special issue of Optical and Quantum Electronics. Passive and active waveguide devices: Simulation and design of photonic integrated systems, linear and nonlinear effects in waveguides and waveguide arrays, light localisation in space and time, grating structures, in- and out-coupling device schemes. Optical micro-resonators: Passive and active optical cavities, resonator circuits, excitation and spectral engineering, photonic atoms & molecules, and respective applications. Photonic nanostructures and metamaterials: Nano-resonators and -antennas, resonator arrays, homogenization, optical metamaterials, surface-enhanced Raman scattering, photon management by nanostructures in PV and OLED structures, metamaterial waveguides. Plasmonics: Metallic waveguides and nanowires, tapers and field enhancement, array-effects in metallic nanostructures. Optoelectronic devices: Waveguide lasers, fibre lasers, micro-lasers, mid IR and THz sources. Guided wave sensors: Fibre and integrated-optic sensors, bio-sensors. Advances in analytical, numerical, and computational methods: Generic, configuration-specific.